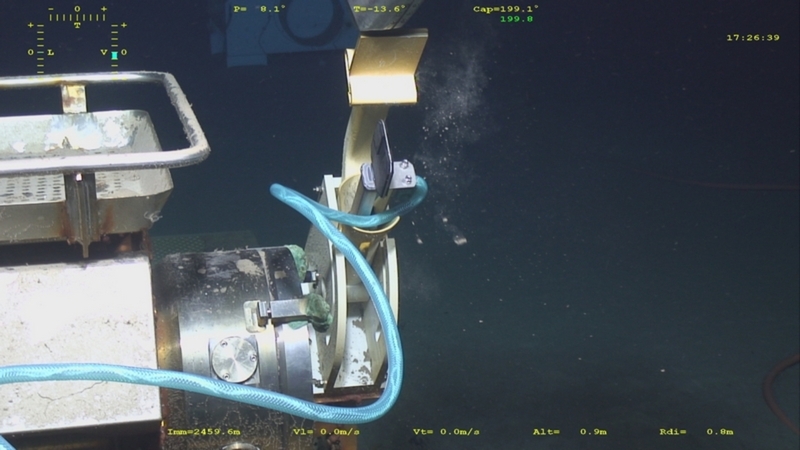 During the cruise, Nautile deployed a mooring from UGOT, University of Gotenburg and connected it to the Secondary Jonction Box for a Test of PH and pCO2 sensors at deep-sea conditions at the TNA observatory ANTARES. The mooring made un with a multiplexer, sensors, an interlink, an acoustic release & a transponder will be recovered in 2017. This TransNational Access has received funding from the European Union Seventh Framework Programme (FP7/2013-2017) under grant agreement n° 312463, FixO3. 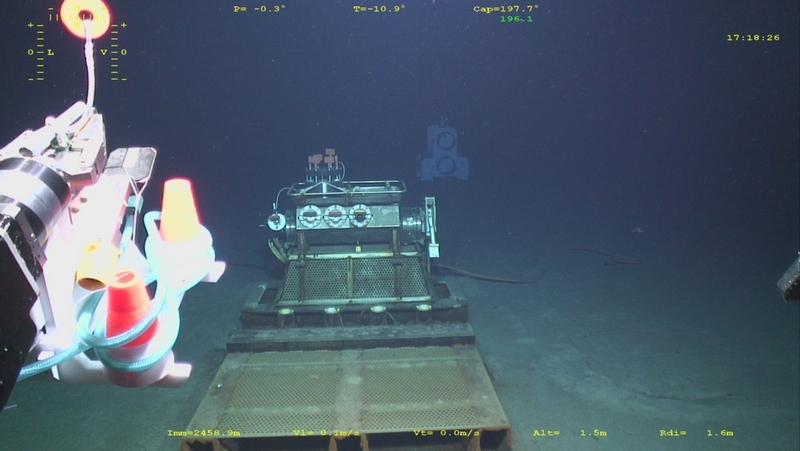 The ESTIME (French acronym for marine instrument and equipment technological tests) cruise aimed to perform the maintenance of the SJB in preparation for 2016 FixO3 TransNational Access and to validate various equipment and/or marine instruments in the final phase of development through trials at sea. A dissoved oxygen sensor was connected to the node.